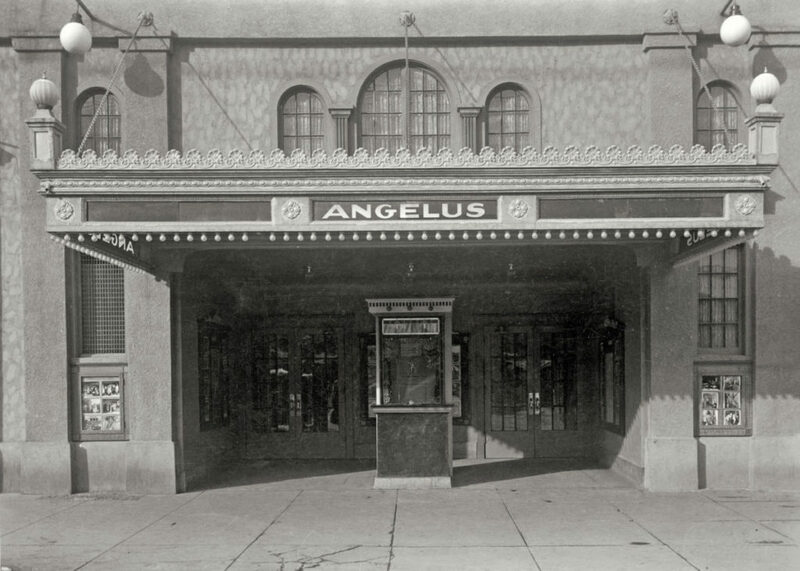 The Angelus Theatre was originally built in 1912 by Joseph Hanson in Spanish Fork, Utah. 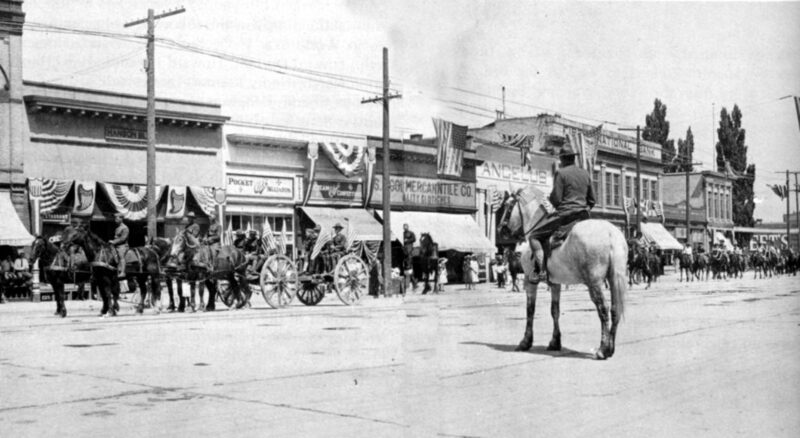 This house was Spanish Fork’s only movie theater when it was destroyed by fire in 1948. 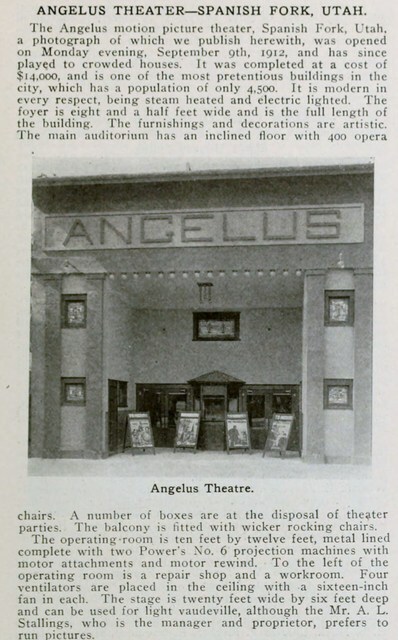 The theater’s operators, the Huish-Gilhool circuit, rebuilt the Angelus Theatre on the same site, and it was reopened in 1950. The Angelus Theatre was renamed Main Street Movies about 1984 and continued as a movie theatre until 1999. By the early 21st century it was operating as the Royal Palace Theatre, presenting live music performances. More recently, it has been operated as a live music venue under the name Boothe Brothers Performing Arts Center by the nearby Boothe Brothers Music, a retail music store. 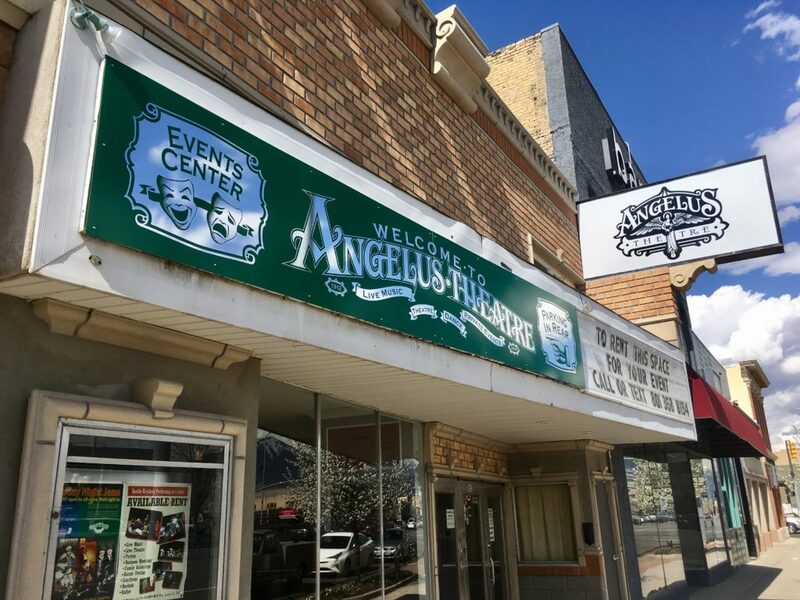 In 2016 it was renamed The Angelus Theatre by Paradox Entertainment of Spanish Fork Utah who, in close ties with Boothe Brothers Music, began a restoration campaign in Feb of 2016.